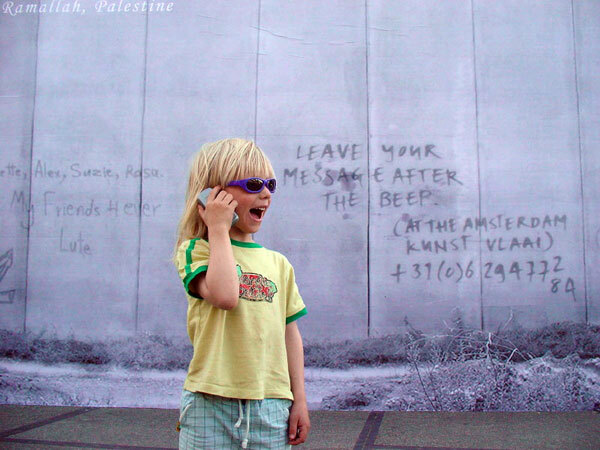 On a wooden wall De KunstVlaai, PIEK! wallpapered a picture of an existing wall at the border between Israel and Palestine. 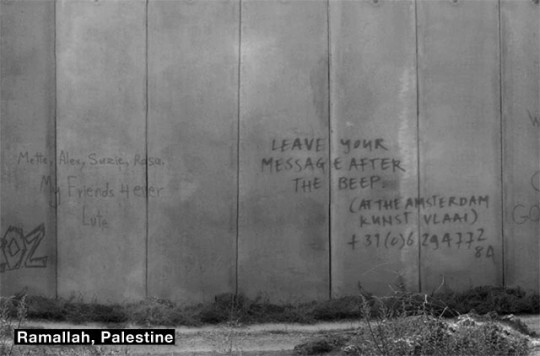 At the website sendamessage.nl people can order their own personal texts on the wall in Ramallah. 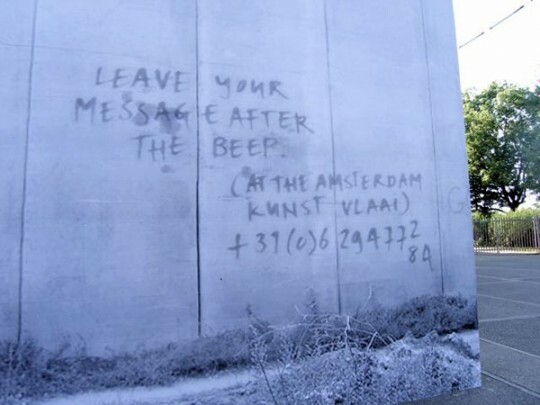 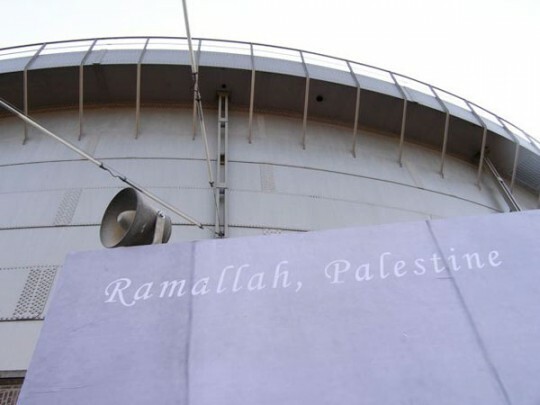 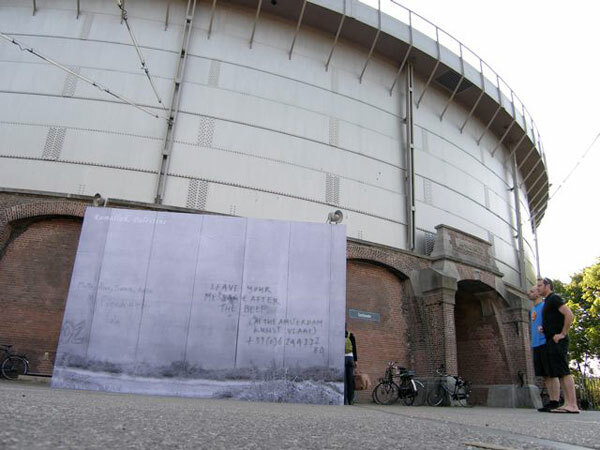 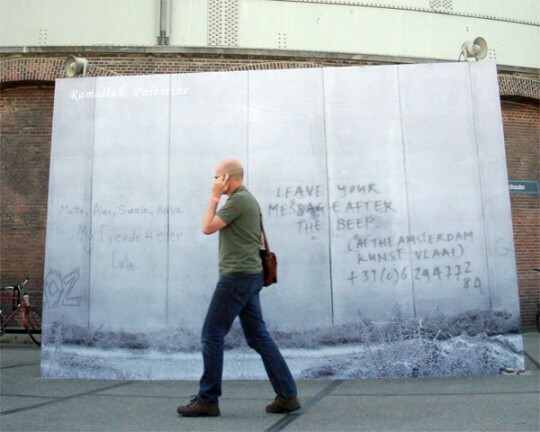 As the text on the picture claims, every passer by, in Ramallah and in Amsterdam, can call the telephone number on the wall and leave a message for all the people at The Kunstvlaai.